I am having a problem draining the black water holding tank on my coach. After opening the valve it drains normally until the tank is approximately half empty and then stops flowing altogether. However if I unhook the drain hose it will continue to drain until almost completely empty. I don't understand why I have to unhook the drain hose to completely drain the tank or how to resolve the problem. Any ideas or suggestions? David, barring any severe blockages inside the holding tank, it is apparent a venting problem exists. As a holding tank drains, air must enter the tank from above. All holding tanks must be vented through the roof of the RV. In some cases, the vent pipe can become dislodged and fall down inside the tank, submerging itself in the contents of the holding tank. This effectively blocks off the vent, thereby prohibiting the venting action of allowing air to enter as you try to empty that tank. This is why it seemingly drains normally if you unhook the drain hose. Disconnecting the sewer hose allows air to enter the tank. Here’s an analogy….place a drinking straw into a glass of water. If you simply lift the straw out of the glass, the water inside the straw drains out as you lift. Now place your finger over the open end of the straw and lift it out. The water remains trapped inside the straw until you remove your finger from the end. Liquid entering the holding tank must displace the air when draining into the tank and air must enter behind the contents during draining of the tank itself. That vent through the roof must work in both directions. Here’s how to check it out. From up on the roof, remove the cover for that holding tank vent. If the ABS piping is not protruding above the roof a couple inches or so, chances are the vent has slipped down into the tank and made contact with the contents. 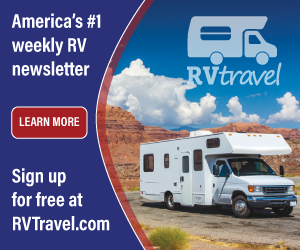 In some cases, you can re-attach it correctly from inside the RV; in other cases, the holding tank must be dropped in order to repair that vent connection. A thorough inspection will reveal the best method of repair.